A story of men and women who want to be beautiful and radiant in their lives, but who go on unleashing their savage madness. In the volatile interior of Old Hyderabad, where the majestic tops of its extraordinary mosques stick out into the serene skies, lives a south Indian family, steadily descending into ruin. Passionate and ambitious Anasuya dreams of bettering her education, but when she discovers her husband’s affair, she is consumed by a desire to exact revenge. Bright and joyful Rushi, brimming with resolutions and desires, believes in loving all humanity. But in a moment of frenzy he nearly kills his wife. Growing up in this oppressive midst is their son, the spirited, sensitive Arya, unwavering in his love for them, but who from early on develops disturbing tendencies. And when Arya, having left for America as a young man filled with shame, returns home in a troubled state, everyone’s lives are changed forever. 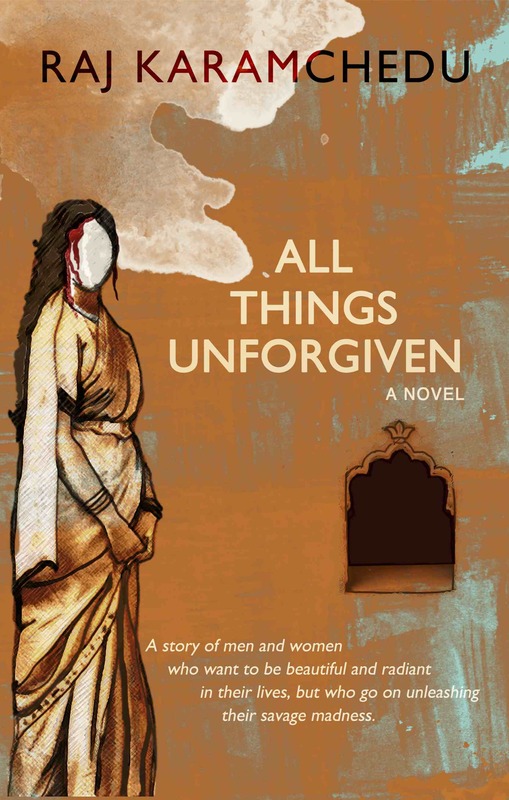 Immersing the reader in cultural and moral dilemmas of modern India, All Things Unforgiven is an unsettling debut novel that depicts the whole of this south Indian family and charts their descent into oppression and violence – and their strivings for forgiveness and love. All Things Unforgiven is the first English language novel published by Saaranga Books, a new publishing house committed to presenting high quality south Indian fiction.